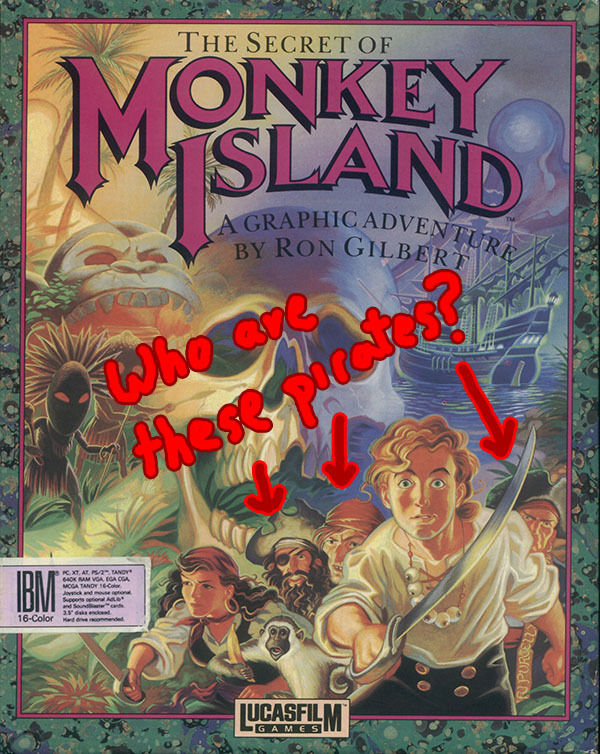 Grumpy Gamer - Who Are These Pirates? This has always bugged me. Now that I've pointed it out, it's going to bug you too. The middle one looks like one of the pirates against whom Boygush trains insult swordfighting.